Distributed Marketing is a term that some people may not fully understand, so we broke it down for you. 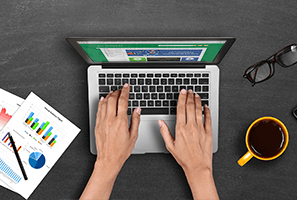 Understanding whether a company uses Distributed Marketing strategies or not can save marketers time, money, and effort when searching for solutions to Brand marketing challenges. Researching marketing terms sometimes leads to outdated, vague and ambiguous definitions. This can be an issue if you’re searching for solutions and get lost in industry jargon. So, it’s important to understand whether your company can be described as a “distributed organization” or one that employs a Distributed Marketing strategy. If brand marketers aren’t able to accurately identify their company’s strategy as one that includes Distributed Marketing, they may not be able to find leading solutions that meet their company’s unique needs. We will clear up the definition so brand marketers can easily determine whether they need a Distributed Marketing solution or not. What is a Distributed Organization? Many companies, brands, and manufacturers have a network of other local businesses that are part of what it commonly referred to as a distributed partner network. These local businesses or partners are considered channels by which the brand sells its products or services. For this reason, they are sometimes referred to as channel partners. These partners can be distributed in different geographic locations and that distributed network structure may be organized in various ways, including by region, class, tier or partner level. Companies with only one location, or a small number of locations, that do not sell their products through a distributed network of local partners do not fit the definition of a distributed organization. Distributed Marketing refers the process of national-to-local marketing for Brands that sell their products or services through a distributed network of local retailers, dealers, distributors, resellers, agents or channel partners. It encompasses all aspects of aligning marketing strategies, creating marketing campaigns and assets, funding strategies, marketing execution and fulfillment, and analytics. Distributed Marketing — which is also referred to as Channel Marketing — involves both digital marketing technology as well as traditional marketing, with customized local campaigns and assets that deliver co-branded messaging to local markets. Leading Distributed Marketing platforms, also called Through-Channel Marketing Automation platforms, offer comprehensive solutions for Brands and their distributed networks of local partners, with innovative options to promote local participation in Co-Op Advertising programs and automated campaign enrollment designed to ensure both national-to-local alignment and brand-compliant messaging. If you have identified your organization as one that uses a Distributed Marketing strategy, but you’re not using automated solutions, you may be wasting time and money on outdated systems and antiquated processes. 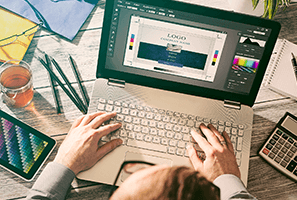 Your local partners may also be wasting time and spending too much money on creating local marketing materials and executing local campaigns that are not Brand approved. Leading Distributed Marketing platforms can easily scale marketing for organizations that need customized, brand-compliant local advertising for their local partner networks. Gaining a deeper understanding of your Brand’s distributed marketing challenges, processes and strategies can help you identify solutions to improve the efficiency and effectiveness of your marketing initiatives. 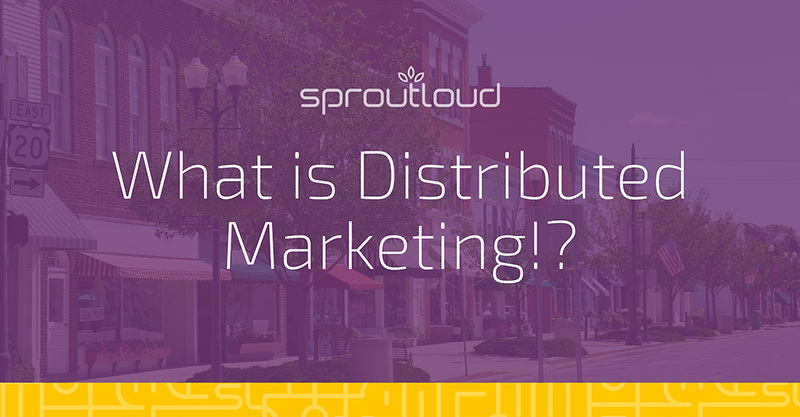 Click here to learn more about SproutLoud’s Distributed Marketing Platform. Gary Ritkes, President of SproutLoud, oversees all Business Development and Marketing for the company. Gary, a pioneer in the emerging vertical of Distributed Marketing Technology, is an industry leader and innovator with 20+ years experience in graphic communications and marketing strategy. Gary has been involved with SproutLoud since the inception of the company. 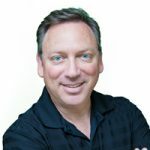 Prior to joining SproutLoud, Gary was VP of Marketing for Rex Three, Inc., SproutLoud’s first and largest vendor among its network of providers. He has served many Fortune 1000 clients and worldwide advertising agencies in providing marketing technology direction and optimization. He was an original founder of U.S. based Earth Color Group and co-founder of Advanced Digital Services (ADS), which was sold in 1996 to publicly traded Katz Digital Technologies. He has served as a board member of the local chapter of the American Advertising Federation chapter and other national industry associations, including the DMA and AGA. ©2019 SproutLoud Media Networks, LLC. Marketing. Customized to your needs.